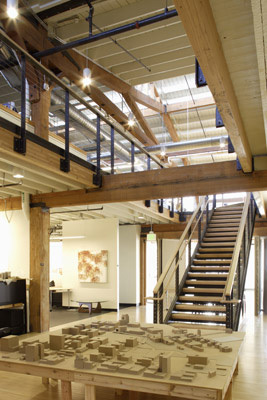 Venerable leased 37,000 SF for Stumptown Coffee's headquarters. Maintaining a properties historic character is desirable for leasing. New retail space at Irvington Corner brought needed services to the neighborhood. Venerable sold the 80,000 SF property two times. University of Oregon has a long-term lease on 100,000 SF in the White Stag Block. Venerable takes on the tough, difficult listings that require different marketing and promotion strategies than the norm. Our philosophy is to work with a select number of listings at a time so that we can develop personal relationships with our clients, such that our listing responsibility becomes a personal obligation. As evidence of our high standards of service, we have repeat examples of representing one party in a transaction and then acquiring the other party as a client for future transactions. Since 2012, Venerable completed $25 million in leasing and sales transactions in areas like the Old Town neighborhood, Northwest Portland, the Financial District, and Portland’s Central Eastside. We’ve become a leader in bringing creative services, retail, office tenants, and owner/users to these areas, introducing new business vitality to Portland’s revitalizing neighborhoods. U of O holds architecture classes here. Whether you are seeking to sell or invest in commercial real estate, we will help you formulate strategies to achieve your objective. We specialize in historic properties, but also have experience in purchasing and selling retail, office, land, and mixed-use properties. Another strategy we have employed for clients numerous times is successful 1031 tax deferred exchange transactions. Venerable is differentiated from many other brokerage firms because of the broad spectrum of clients we serve, from artists looking for 300 sq ft studio spaces, to corporate clients like JELD-WEN and Miller Paint, to institutional clients such as the University of Oregon. Venerable has built a solid reputation for honesty and quality service. We offer our clients extensive market knowledge and experience. Because we acquire, lease, and sell so many properties for our own portfolio, our approach is from an owner’s perspective, thereby giving our clients additional protection of their interests. Our goal is to market your property, locate, and qualify prospective tenants and meet the client’s objectives. We thoroughly analyze our client’s needs, timing, space, and budget requirements. With our knowledge of the market, we prepare a list of suitable properties and offer our analysis, recommendations, and negotiating skills. We have a proven track record in negotiating lease terms consistent with the client’s current and future objectives. 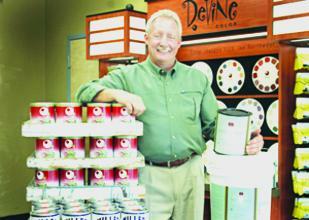 “Venerable has represented Miller Paint Company on more than 20 transactions. I would recommend Venerable and Craig Kelly for all your commercial needs.” –Steve Dearborn, President & CEO, Miller Paint Co. Inc.